The GSI Foundation’s public school programs have been rolling along smoothly for over a month now! 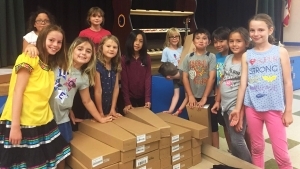 At both Castle Heights and Brockton Elementary, the students have their instruments and the weekly classes are in full swing. 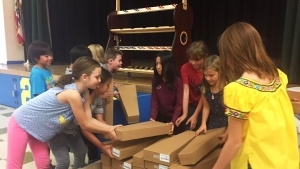 Here are a couple of photos we wanted to share of the instrument unboxing from a brand new program at Castle Heights. We felt confident that a new program would be successful here because, among other things, the parents, teachers, and principle were all 100% behind the importance of music education. Over the past seven years, we have found that the support from these individuals is critical to the longevity of a music program. Therefore, we know going forward that both of these programs will be around for many years to come! Stay tuned for more pictures and updates from Brockton, Castle Heights, and all of our programs, coming soon!